With a microwave termite treatment, you won’t have to have us put a tent over your home in order to fumigate. Instead, a technician simply treats the infestation locally, exterminating termites directly at the source. 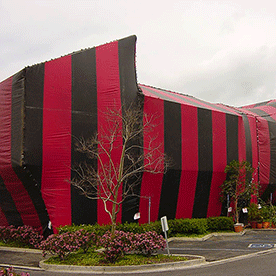 Exterminate termites in only three days with our formulated tenting process. With whole-structure fumigation using Vikane® gas fumigant, there’s no place for drywood termites to hide. 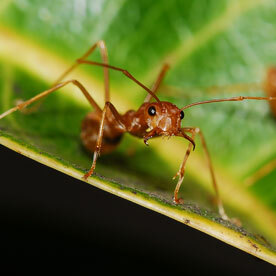 While ants are usually not any major harm to you or your family, they can turn your home into theirs. Our treatment and prevention programs are warrantied for up to two years! 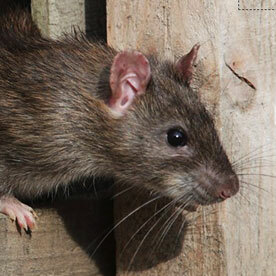 Rodents carry diseases that can be transmitted to humans. Don't take those chances with what matters most - protect your home, your family and your pets from rodent infestations. Hi-Tech Termite Control specializes exclusively in advanced termite control and termite extermination methods. As such, you’ll find our depth of experience and expertise unmatched when it comes to exterminating termites. Just what type of termite treatment you may need will depend on how extensive your termite infestation is and what an inspection reveals. You may not need to tent! However, we do offer fumigation services on top of our less-invasive termite exterminator services. Count on Hi-Tech Termite Control for termite inspection, protection, and extermination services if you live in San Diego, Orange County, or Los Angeles. If you want to know how to identify termites you’re probably already aware that there are various types of termites. Here's the difference between these termites, and other insects. For homeowners, termite inspections are a crucial step in protecting your most important investment. Termite colonies can often go unnoticed in a house for five years or more before any sign of infestation. Get an inspection.